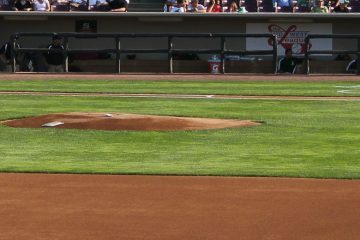 In 2017, Scott Moss was dominant at times for the Dayton Dragons. He threw 135.2 innings with just 114 hits allowed, gave up 48 walks, and he struck out 156 batters. That also came with a 3.45 ERA. The lefty was among the league leaders in several categories. That earned him a promotion in 2018. 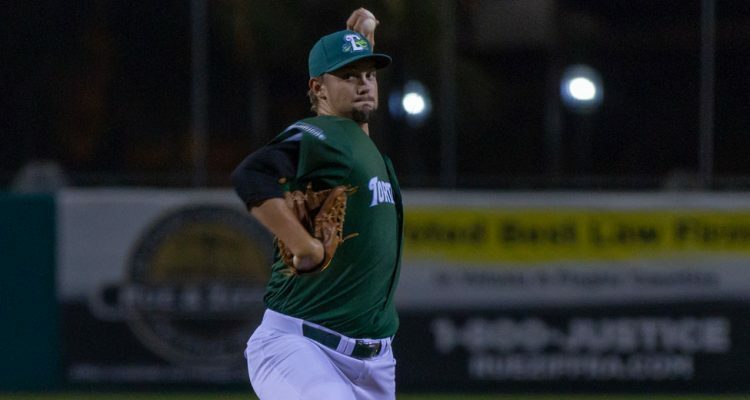 The Cincinnati Reds sent Scott Moss back home when they assigned him to the Daytona Tortugas. Moss went to high school at DeLand High School, which is 21 miles from Jackie Robinson Ballpark in Daytona. The homecoming started out well. In his first start of the year, taking on Florida at home, he allowed a run in 5.2 innings with nine strikeouts. Things did not go nearly as well the next two times out, though. The lefty allowed 12 earned in 6.0 total innings, giving up 18 hits and two more walks. In the final two starts of April he gave up four runs in 11.0 innings with five walks and six strikeouts. In total, the month was a struggle as he posted a 6.75 ERA in 22.2 innings. May was a short month for Scott Moss. The first start of the month didn’t go well as he allowed four earned in 5.1 innings. On the 10th he’d take the mound against Clearwater and put up a quality start, giving up three runs in 6.0 innings. The final two starts of the month were strong. In 11.2 innings he allowed just two earned runs. Rain took out most of the final week of May, limiting Moss to just those four starts. He posted a 3.52 ERA in 23.0 innings with six walks and 14 strikeouts. Things started out well in June for a well-rested Scott Moss. He threw 5.0 shutout innings with eight strikeouts in the second game of a double header on the 1st of the month. That didn’t translate into his next start where he lasted just 3.0 innings against Clearwater – though only allowed two runs. In the second game of another double header he walked the tightrope. He gave up just one earned in 5.0 innings while allowing 10 baserunners. In what would be his final start of the month on the 23rd against Florida, things went a bit better as he allowed one earned over 5.2 innings. From an ERA standpoint, June was the best month of the season for Scott Moss. he posted a 1.93 ERA in 18.2 innings with seven walks and 15 strikeouts in four starts. The weather once again took a toll on the Tortugas schedule. July got out to a great start for Scott Moss. In his first three starts of the month he allowed three earned over 18.2 innings pitched. He also struck out 20 batters with just four walks. On July 16th he would have a hiccup against Clearwater, allowing six runs on three homers in 5.0 innings. But he rebounded well in the final two starts of the month. Against Palm Beach and Fort Myers he allowed three earned runs in 10.2 innings. That helped him finish the month with a 3.15 ERA in 34.1 innings, to go along with 11 walks and 30 strikeouts. The final month of the season was more of the same for Scott Moss. He kicked off the month by allowing one earned in 8.0 innings against St. Lucie. In his next two starts he racked up 11 strikeouts in 11.2 innings where he gave up just four earned runs. On the 21st Moss struck out a season best 10 batters while allowing just one earned in 5.0 innings against Lakeland. That was followed up with 7.0 innings of no earned run baseball against Tampa. 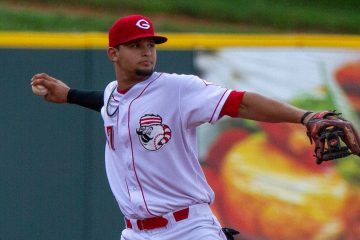 His regular season came to an end on a down note against Dunedin as he allowed six earned without making it out of the second inning. That final start put a bit of a damper on an otherwise dominant run. He posted a 3.24 ERA in 33.1 innings with 10 walks and 30 strikeouts. Fastball | Scott Moss throws with average-ish velocty on his fastball for a lefty. Some days he’s below-average with velocity in the 88-90 MPH range. Other days he’ll be 90-93. Slider | The pitch works in the low 80’s and can flash itself as a slightly above-average offering. When it’s on, it’s his put-away offering with good sweeping action across the zone and solid bite. Change Up | It also works in the low 80’s. The pitch is fringe-average and the pitch he goes to less frequently. Scott Moss doesn’t blow you away with his stuff. He doesn’t throw particularly hard. His offspeed stuff isn’t off the charts. But he knows how to pitch, and his mechanics give him some deception to work with. The left hander throws plenty of strikes, and you can see that in his walk rate of just 7.3% on the year. His strikeout rate, though, took a big step backwards in 2018 when compared to 2017. It dropped from a very high 27.3% to a slightly below-average rate of 19.9%. There were some highs, and some lows, with his strikeout rate. Looking long term, as a lefty he will get plenty of chances to stick in the rotation. He may project as a bottom of the rotation starter if there’s not an unforeseen development with at least one of his pitches moving forward. The bullpen could ultimately be the place where Scott Moss could thrive a little bit. His fastball and slider could play up very well against left handers, especially with the deception he brings to the table. This season lefties slugged just .324 against him and his strikeout-to-walk ratio against them was better than 3-to-1. In both July and August he had more strikeouts in each month than he had in May and June combined. Bonus interesting stat on Scott Moss: He locked in with runners on versus no one on. With the bases empty hitters had a .762 OPS against him with 31 walks and 54 strikeouts. When runners were on base they had a .647 OPS against him with just 10 walks and 58 strikeouts. 31 wins and 11 losses as a pro- not too shabby. Does he start 2019 at AA ? You would think so, as an SEC college pitcher you wouldn’t have thought he needed whole years in Dayton and Daytona either though. I think that says a lot to what the Reds think of Mr. Moss. Yes, he was an SEC pitcher. But he also barely pitched while in college. Literally threw 23.0 innings because of injuries while at Florida. Huge fan. I realize the whole seems to be greater than the sum of the parts, but he just continues to get people out and put his team in a position to win. Hope he continues to see sustained success. Moss is a guy I feel I’m higher on than most prospect lists. Guy just seems like he knows how to pitch. Looking forward to seeing him take on the AA jump this year. Moss does have some pitching sense, but I still think it would be difficult to get thru a lineup more than once versus a ML team that would stack the deck with right handed batters. You don’t have to squint to see that he could potentially thrive as a LOOGY. I felt the same way about Mahle as I did about Moss. Not sure if Mahle will ever be dominant. At best a low end version of Mike Leake. Good comp Simon. I agree with you. Mike Leake is his ceiling. The last three years we’ve had a high draft pick, starting with the Senzel pick. How is the pitching developing on those picks? While we all know about greene, shouldn’t we be hearing a bit more about these guys with now 2 or 3 years in the system? In 2016 they didn’t take a pitcher in the Top 75 picks in the draft. Nick Hanson was the 1st guy they took that year who was a pitcher, in the 3rd round. Had Tommy John, just returned very late this season. In 2017 it was Hunter Greene, then no other pitchers in the Top 75 picks. Jacob Heatherly was taken 77th. Some people are a lot higher on him than others. Has stuff. Has a very long way to go when it comes to throwing strikes. Last year they took Lyon Richardson and Josiah Gray 47th and 72nd overall. So, realistically, the only guy who *should* really be a top prospect at this point is Hunter Greene. We all like the idea that a 2nd or 3rd rounder is going to be a dude, but the reality is that they almost never are. Push that to the 3rd round and it’s very, very rare. Well, the class with Senzel had the first pitcher selected in the third round, high schooler Nick Hanson. He missed all of ’17 injured. He threw 4 innings this year. Then you have the aforementioned Scott Moss. The next year had high schooler Hunter Greene, who missed the end of this season injured. Then in the third round, they took high schooler Jacob Heatherly. He pitched in Greeneville and had increased velocity. This is surprising because his scouting report coming out of high school was that he was most likely maxed out on his velocity. However, with the increase in velocity came a decrease in strikes. If he finds a way to get back in the strike zone, he may start out in Dayton. If not, it’s either Billings or Greeneville. Going back to the year before Senzel, the first pitcher taken was high schooler Tony Santillan in the second round. 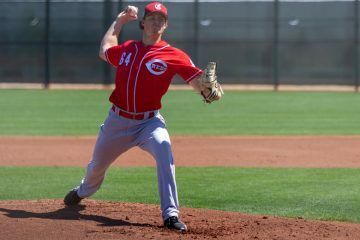 He is currently the top Reds pitching prospect not named Hunter Greene. Tanner Rainey was taken in the comp round of round two. He is a reliever trying to shed the AAAA label. That’s all the pitchers taken in the top four rounds for the ’15 to ’17 drafts. Four high school guys, one raw juco two-way player, and an oft-injured college guy. You have two battling injury, one battling control, two performing well, and one trying to figure out how to be successful in the bigs. So otherwise in a organization that is in desperate need of pitching, over the last 3 drafts we had high picks incwe have not much of anything to show for it. But, when the drafts occurred, what was the pitching outlook. Checkout Doug’s post 2015 ranking, the one after Santillan was drafted. Four of the top 5 were pitchers. Stephenson, Travieso, Amir, and Reed. Everyone wanted hitters in the draft. The next rankings after Senzel was drafted still have Stephenson, Amir, and a surging Romano at 3 thru 6. Plus, you had Vlad signed and Castillo acquired by trade. And you had Mahle out there dominating year in and year out. They still went with Greene and Heatherly in the top 3 rounds. The problem is, none of the pitchers that were counted on, have shown that they can be successful big league starters, except for maybe Castillo. Out of six guys you figure at least 2 pan out. Right now, they maybe have 1. Plus this doesn’t include Disco and Finnegan, who were clearly being relied on. Instead, Disco may be diminished by injury and Finnegan may be as well, or just not in shape to be successful. There was a plan that made sense on paper, but right now, it isn’t looking good. 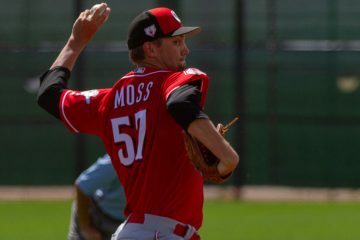 Think Moss could end up being a Tommy John type #5 major league rotation pitcher. In the future if you could follow Greene with Moss in a rotation they could really screw up a teams line-up’s timing. Probably one of the few times lately John’s name has been mentioned in a baseball response where the word surgery was not included. Scott, being a 4th round pick taken outside the top 100 in 2016, is already performing above some peoples expectation. I’m optimistic, but believe we’ll all have a better handle on what Moss can do for the Reds a year from now. I know one thing, if he’s closing in on another 14-15 win season next year, I’ll be driving down to Tenn. to see him pitch.